"Nora, I'm not attempting to embarrass you or single you out. I know you're capable. But stay behind Chas, okay? You die, you die permanently, and for various reasons that we've already gotten angsty about together, I don't want that to happen." 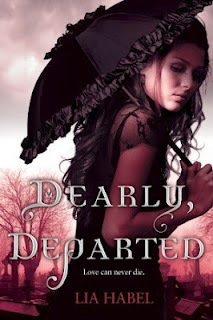 Dearly, Departed!! I'm not familiar with this book but that's a great Teaser. Thanks for sharing!! I love it when a guy gets all protective! Good tease! Oh, you've done it now! I'm completely jealous!!!! Can't wait for your review! You of all people need to read this book! Its zombies, but zombies with a wicked awesome twist! Great teaser. I haven't heard of this yet, but it sounds great. Thanks for sharing and for stopping by my TT. Love this quote! I used it when I reviewed Dearly Departed. Hope you're loving it! I have never heard of this book but I'm definitely looking it up! Nice Teaser! Oooh, I love that! How sweet! (: I really need to read this series, plus the covers are so super gorge! I have this one on my shelf and your teaser made me want to pick it up right now ^^ But it'll have to wait a bit *sigh*. I love that teaser! I've heard of Dearly Departed, and I think I need to add it to my reading list! Yes, you must add! I lurved it!